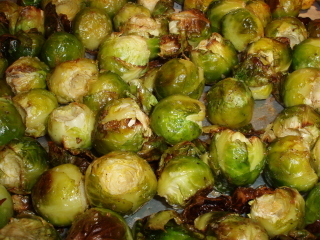 Use a quality extra virgin olive oil when making this simple roasted Brussels sprouts recipe. It will make all of the difference in the world. There's something about spring and a craving for Brussels sprouts. 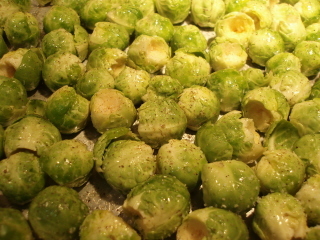 I can't help it...I love Brussels sprouts...especially good oven roasted Brussels sprouts. Here's a simple recipe that really brings out the flavor. 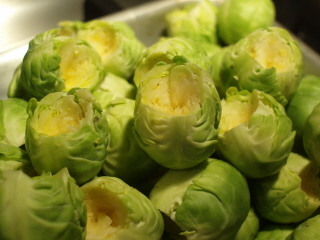 Clean and trim the Brussels sprouts. I like to cut as much of the core out as possible because I think it removes a lot of the bitterness. 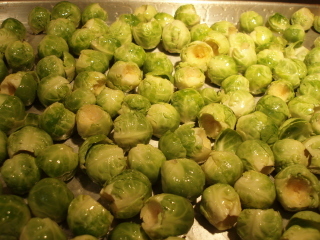 Spread the sprouts onto a large shallow baking sheet. Drizzle with Olive Oil. You don't need to drown them, just use enough Oil to give them a nice coating. Bake 15 to 20 minutes or until the sprouts are tender. Stir after the first 10 minutes.